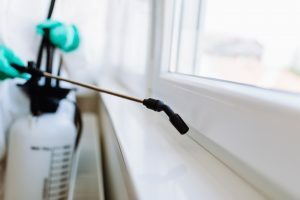 When it comes to pest infestations in the office place, one can be tempted with trying to utilise ‘home remedies’ and using over the counter pest control products. We strongly advise against this. Particularly in a working environment where other people’s health and safety is your responsibility; a commercial pest control specialist must be called immediately. 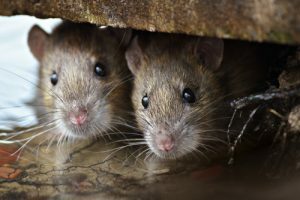 Again, when other people’s well-being is at stake, then you must seek out a commercial pest control specialist to handle the situation for you. If you or a member of staff misuses pesticides to the detriment of others, you will be liable for damages. Save yourself the head-ache and leave it to those who know precisely what they are doing. Without the proper training it can be difficult to identify the precise pest problem, or the severity of the problem at the least. Additionally, if left unchecked, an infestation can become firmly established and thus even harder to remove. You can waste an awful lot of time on DIY pest control solutions which might ultimately end up not working. In order to combat this, you should skip it all together and seek professional help. Yes, your instinct might be to save money by not hiring the professionals, but in many cases, it will end up being the cheapest and easier option. By trying to rid your office of pests yourself, or by preparing one or more of your staff to do it, you’re wasting money. In addition to that, you’ll be slowing down daily operations and certain member off staff will not be performing so well if they are particularly afraid of pests. All in all, the longer you have a pest infestation, the more money you’ll be losing. This is why it is advised to hire a commercial pest control specialist off the bat, to save time and money. The odds of a DIY pest control solution working aren’t as high as you might think. So, that, coupled with the fact that they’re very ineffective at future pest prevention is a good sign for you to leave it well alone. A commercial pest control specialist will not only eradicate the problem but ensure that the pests don’t return in the future. A commercial pest control specialist will be able to come out to your property and run a thorough analysis on the premises. Within minutes they will likely be able to identify the root of the problem and get to the bottom of it. A specialist will also be able to implement the safest, most effective and environmentally friendly solutions to your problem. These methods will be preventative in nature as well. By hiring a commercial pest control specialist like Expert Pest Control, you will also be significantly reducing the amount of time wasted in the office. If you want to continue business as usual, then you must seek professional help to ensure that end. Commercial pest control is essential for keeping all of your staff happy, making them feel safe and preventing the risk of illness and contamination. All in all, it makes very little sense for you to try and go it alone. As we have established in this article, the cheapest, easiest and most time efficient option is to go with the professionals.